A photograph of a elephants in a zoo, taken by an unknown photographer, c. 1960. The elephant in the foreground stands with two feet on a wall, whilst tourists pet the elephant behind. A photograph of a elephants in a zoo, taken by an unknown photographer, c. 1960. 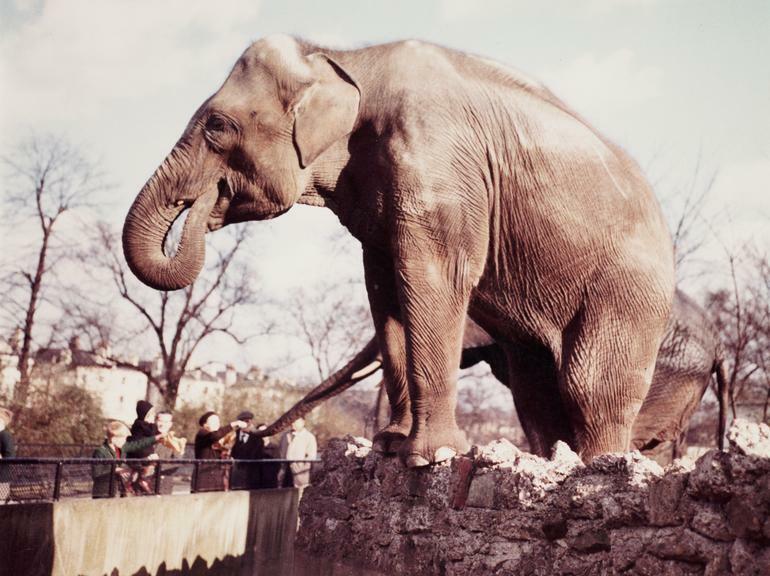 The elephant in the foreground stands with two feet on a wall, whilst tourists pet the elephant behind.